Recycling four year old articles gets no praise. 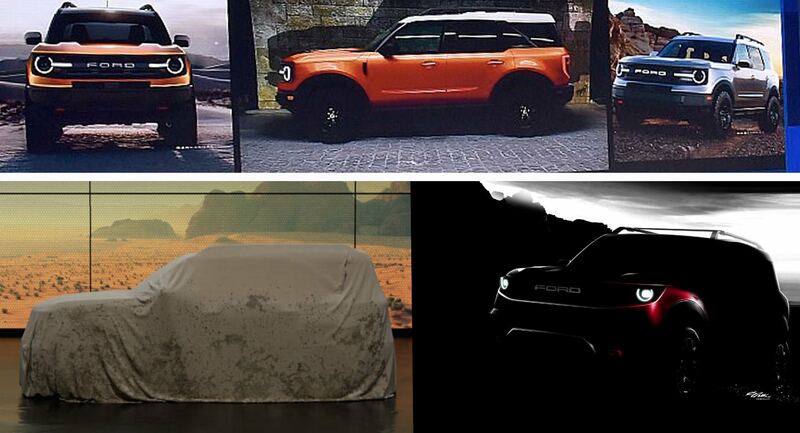 For those that have seen the movie Rampage; Dwayne Johnson was driving the 'Bronco Concept' - so I was pretty optimistic the concept would translate well to reality...I'm not seeing that in these pictures. The profile photo shows a shadow which is much larger, is that the bronco shadow and the smaller orange one is the baby bronco? I feel the orange one is the baby bronco and and not full size? Agreed, this looks like it's the baby Bronco, not the full size.